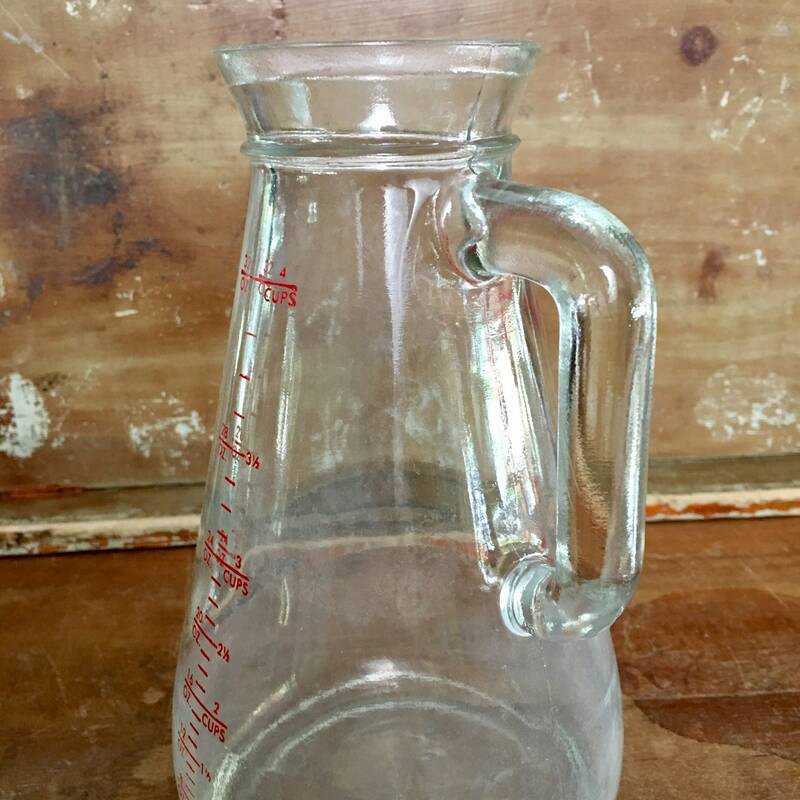 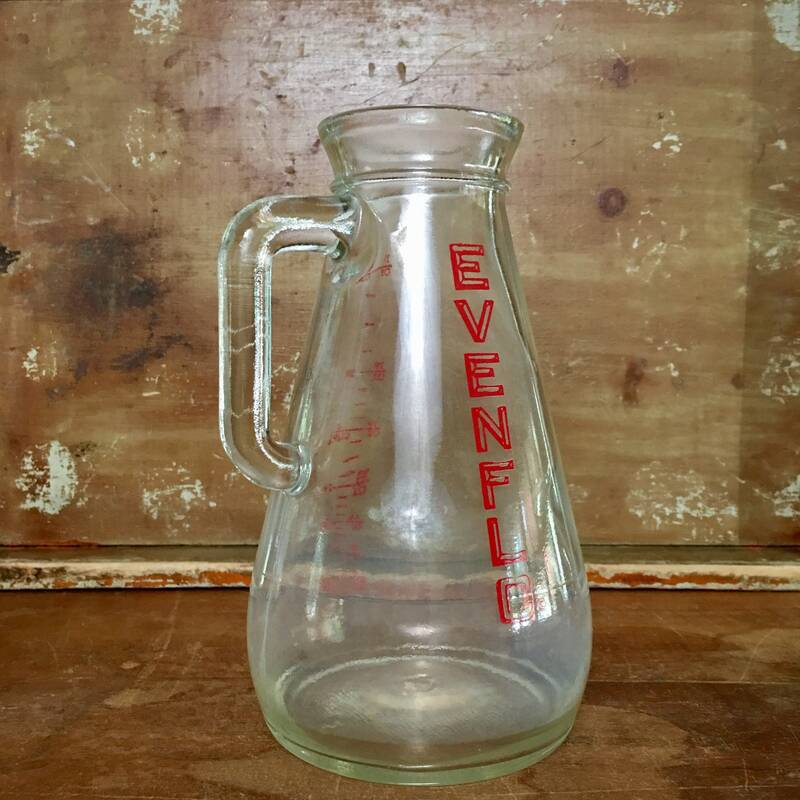 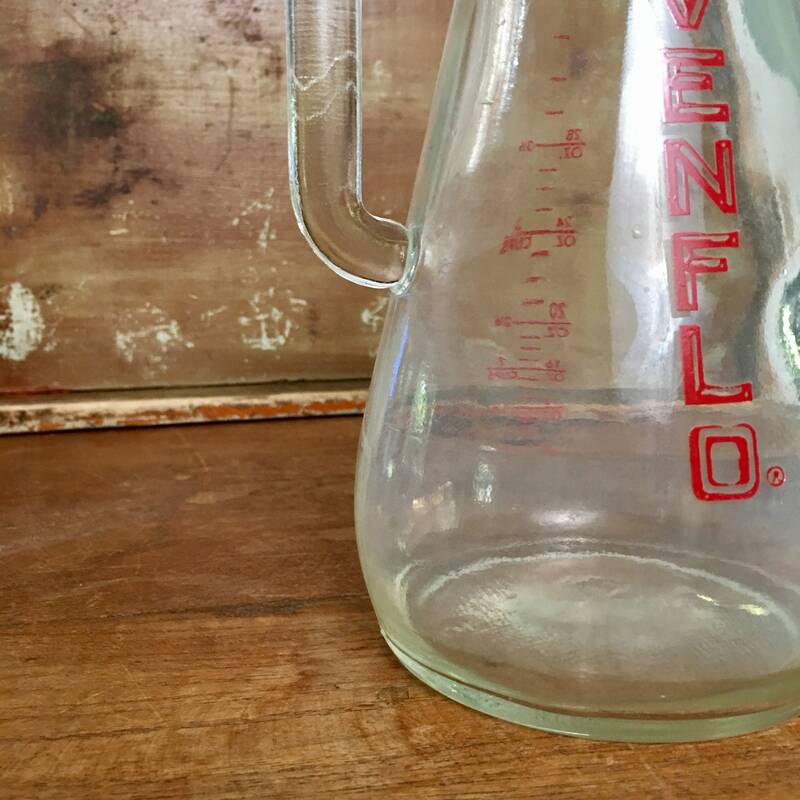 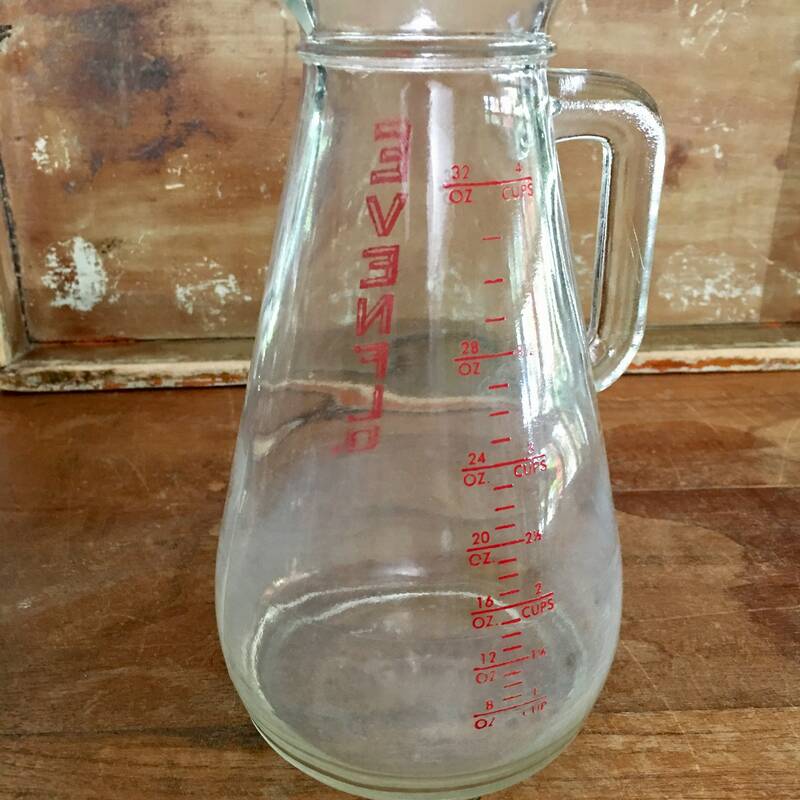 Vintage Evenflo glass baby formula carafe. 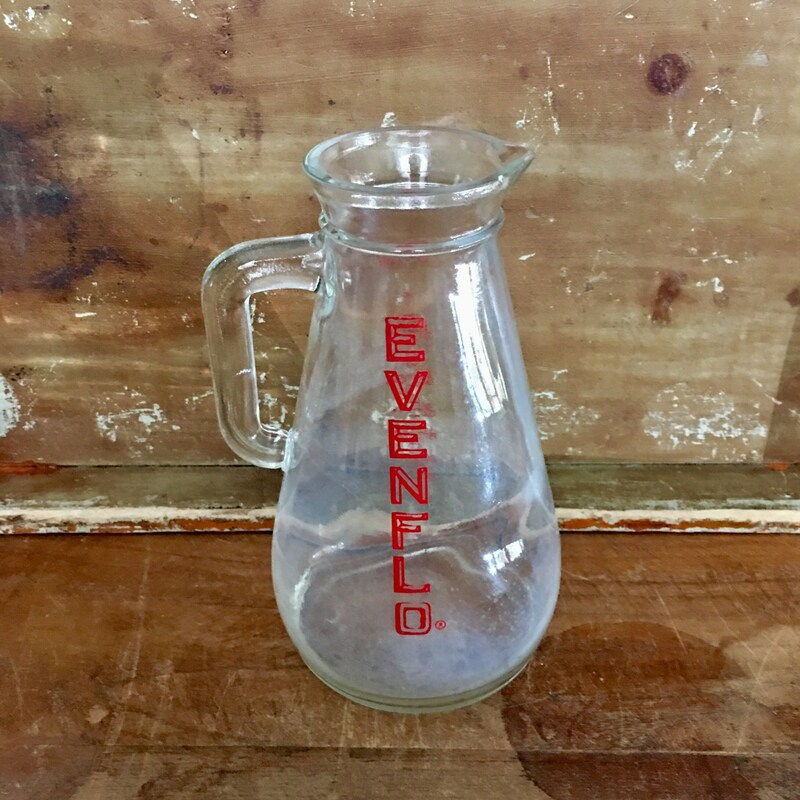 Red enamel lettering with some wear. 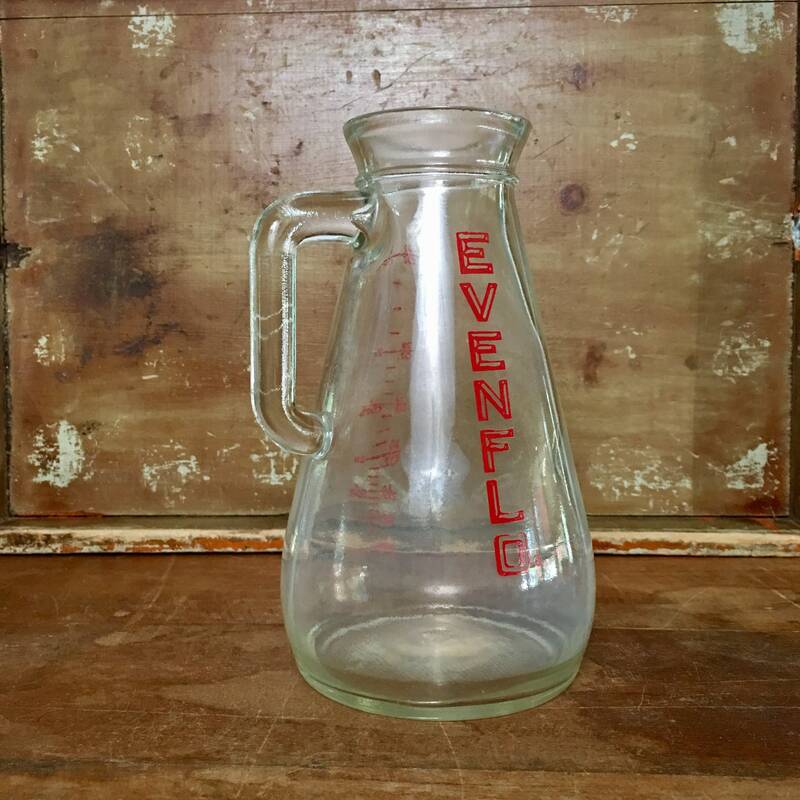 Measures 32 oz. 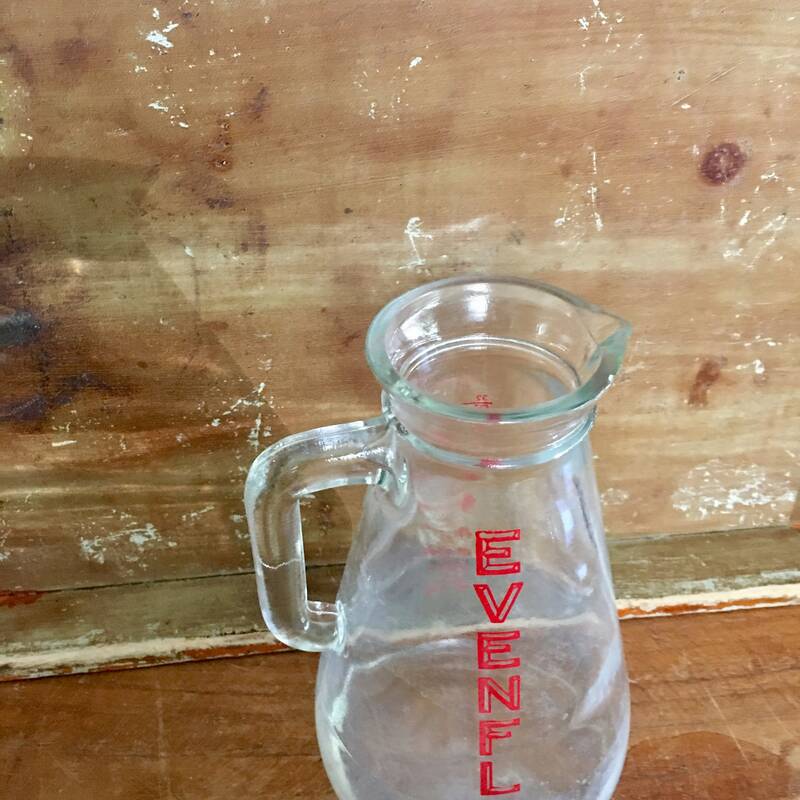 and marked "3" on the bottom. 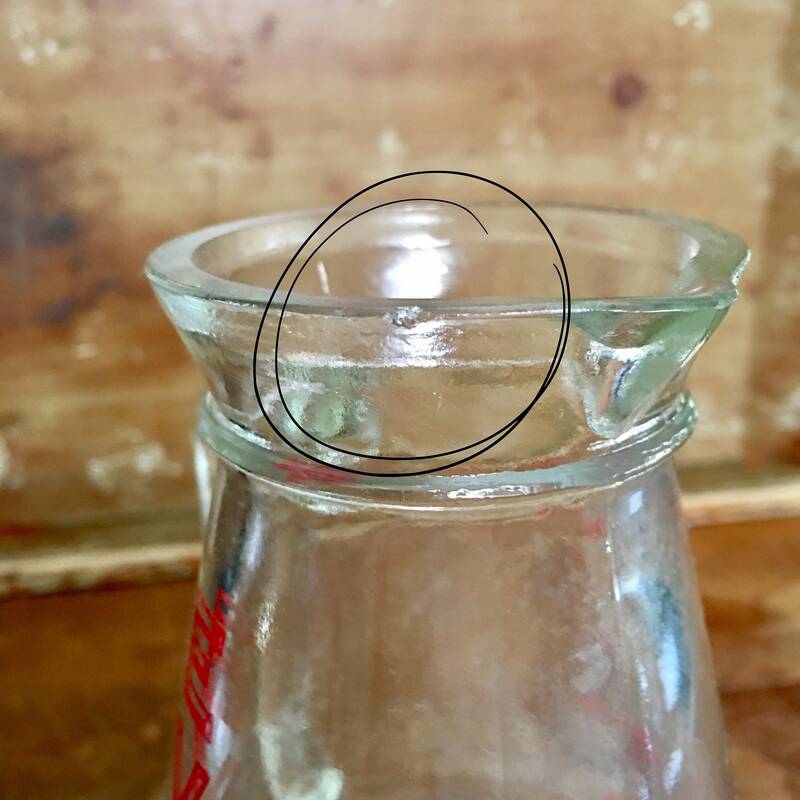 Small chip near the mouth of the pitcher highlighted in the above picture. 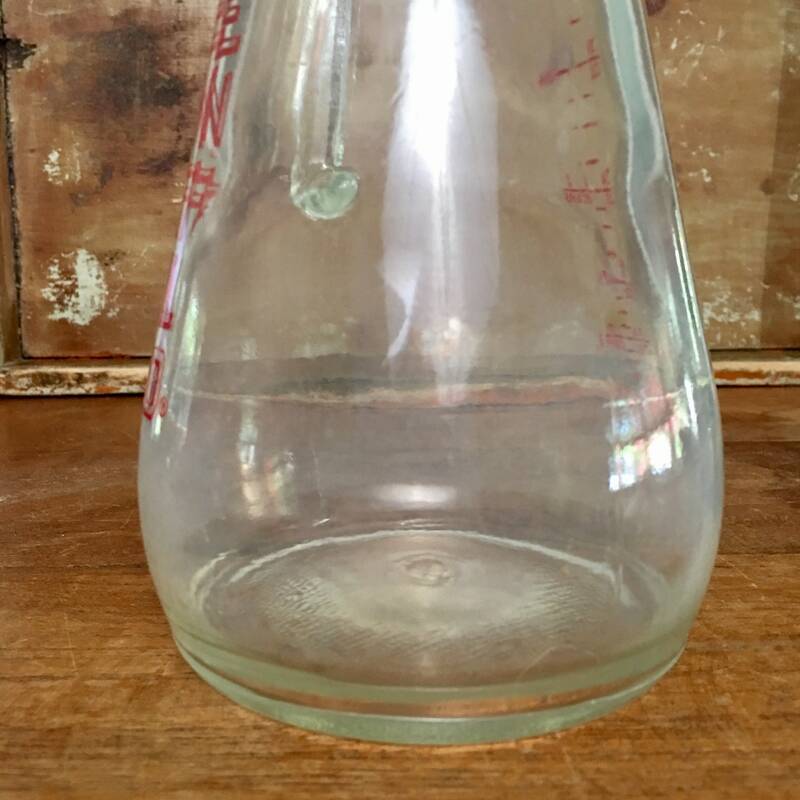 This would be so cute used as a decoration in a nursery or at a baby shower filled with flowers!